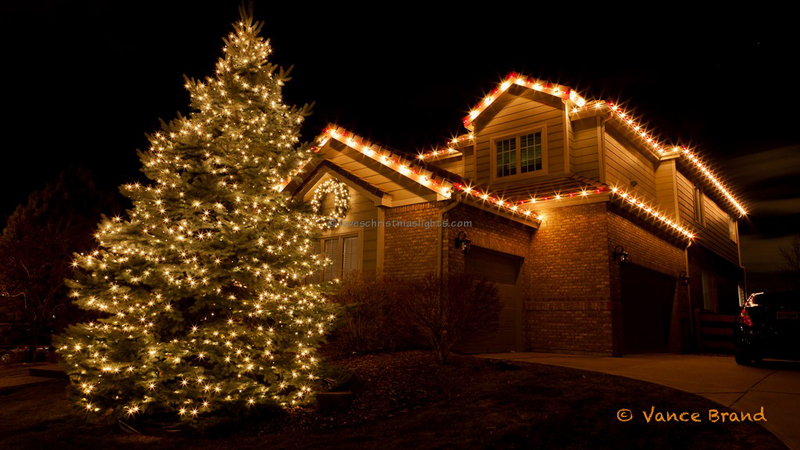 Running extension cords to the items being decorated should be one of the first steps in setting up a Christmas light display. To begin running these extension cords, find an available outlet. Start looking around the front door or porch then continue looking along the exterior front wall, side walls, then garage. Some homes have electric outlets installed in the facia. These are almost always on a dedicated circuit and controlled by a switch in the home. Once located, plug in the portable GFCI to avoid tripping the homeowner's GFCI during the installation process. 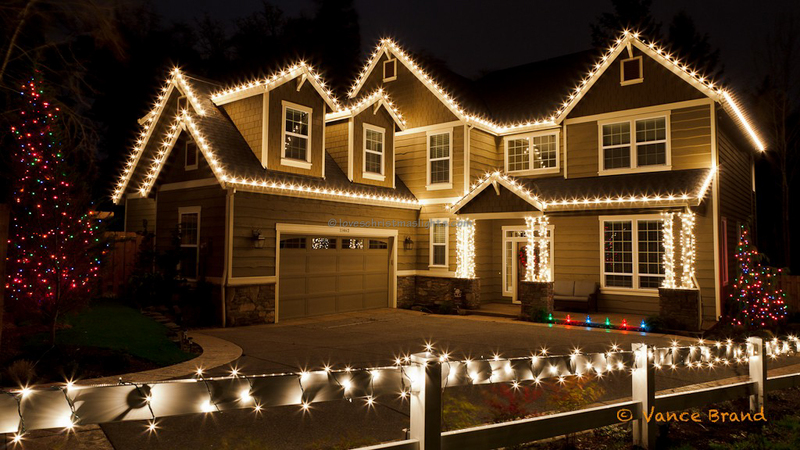 Use an outdoor cord to run power from the outlet to the closest item being decorated. Use grounded triple taps to branch off from this cord to decorate other items. The network of cords will create a tributary system distributing power to every decorated item. Avoid overlapping cords and use as little cords as possible. Avoid plugging lights inline into lamp wire. 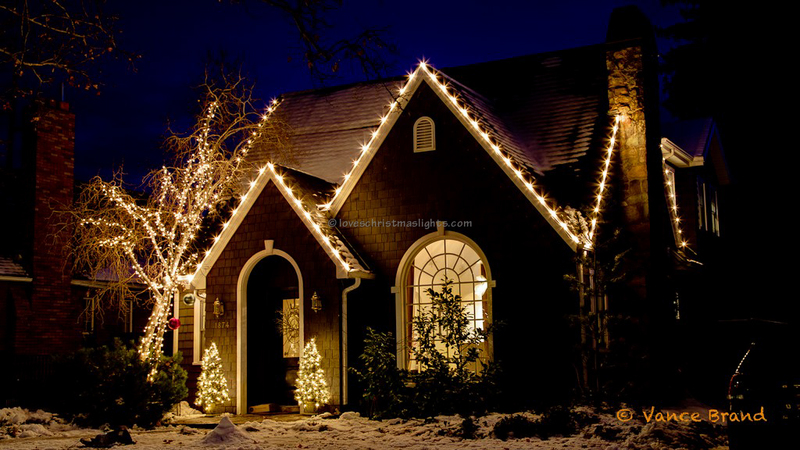 Instead the lights should be plugged into a triple tap at the end of another extension cord. The correct way to run extension cords. A haphazard way to run extension cords. Use the shortest extension cord necessary. Do not tie or zip tie cords to gutters or downspouts. Cords should be hidden as much as reasonably possibly. Avoid using more than one extension cord if a longer cord can be used. Avoid putting connections in places where water could accumulate or flow. Avoid crossing sidewalks, driveways, or other places people may be walking.